When I was a little girl growing up on the prairies, we would visit the Okanagan Valley in British Columbia every other year, or so. Oh, the cherries. We would stop at a roadside stand, buy a basked, and I would almost eat it all by myself. There was something magical about the firm, sweet, black ruby globes of fleshy scrumptiousness. Cherry after cherry after cherry. I could never get my fill. I would dream of going on a cherry picking adventure. I had never seen a cherry tree and the idea of climbing up a limb and plucking these jewels fresh off of a tree to eat ad nauseum had me mesmerised for years. I have still never seen a sweet cherry tree, nor plucked a fresh sweet cherry off a branch. Crab apples, apples, and berries were the fruit of the prairies. Until 1976, when intrepid plant breeder Ieuan Evans, of Spruce Grove, learned that Mrs. Borward’s cherry trees in her yard near Fort Saskatchewan were to be destroyed as a new federal jail was taking over her property. She allowed Evans to take some for himself and for the Alberta Tree Nursery. The rest is history… almost. The Canadian Food Experience Project began June 7 2013. As over 80 participants across Canada share collective stories through regional food experiences, we hope to bring global clarity to our Canadian culinary identity. The first Canadian Food Experience Round Up focused on an Authentic Canadian Food Experience. 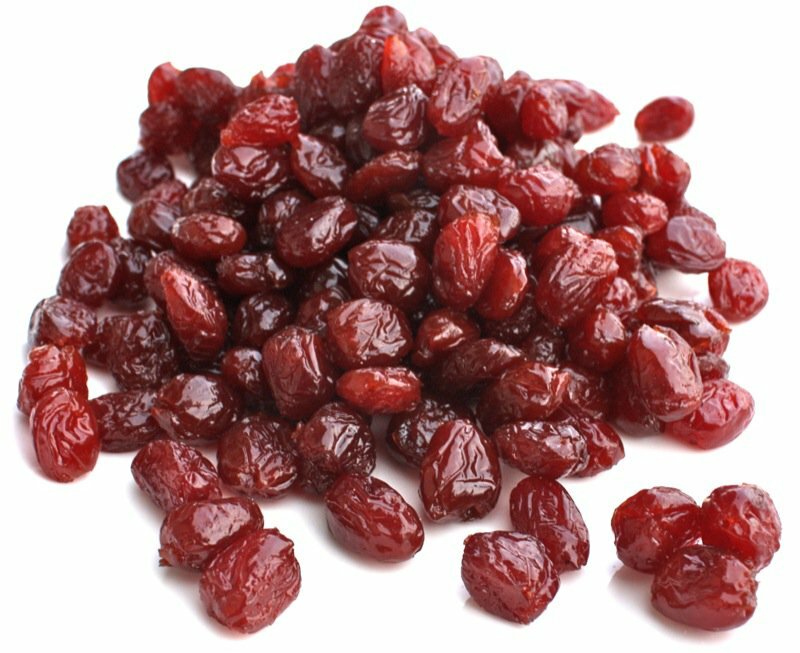 A Regional Canadian Food is the topic for the second challenge and though the Saskatoon berry, the Tamworth pig, highbush cranberries or red fife wheat may all be move obvious choices for a regional Alberta food, I selected the Evans Cherry for that very reason. Cherry trees in the prairies were just not a part of the landscape when I was growing up. Since the discovery of the Evans Cherry, cherry trees are teeming across prairie landscapes, almost as popular as the ever present apple tree. DNA Gardens, in central Alberta, began propagating them by the thousands and it was in 1990 that they made it across the country. There has been no looking back. Jim Hole says it is the number one cherry tree selling in Canada now due to its hardiness, adaptability and prolific fruit production. 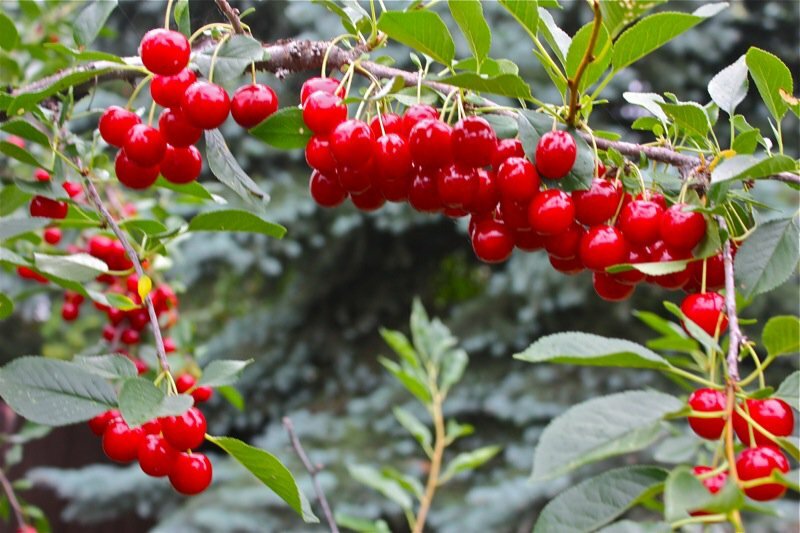 Sweet cherries need a warmer climate and grow in the Okanagan and Southern Ontario. 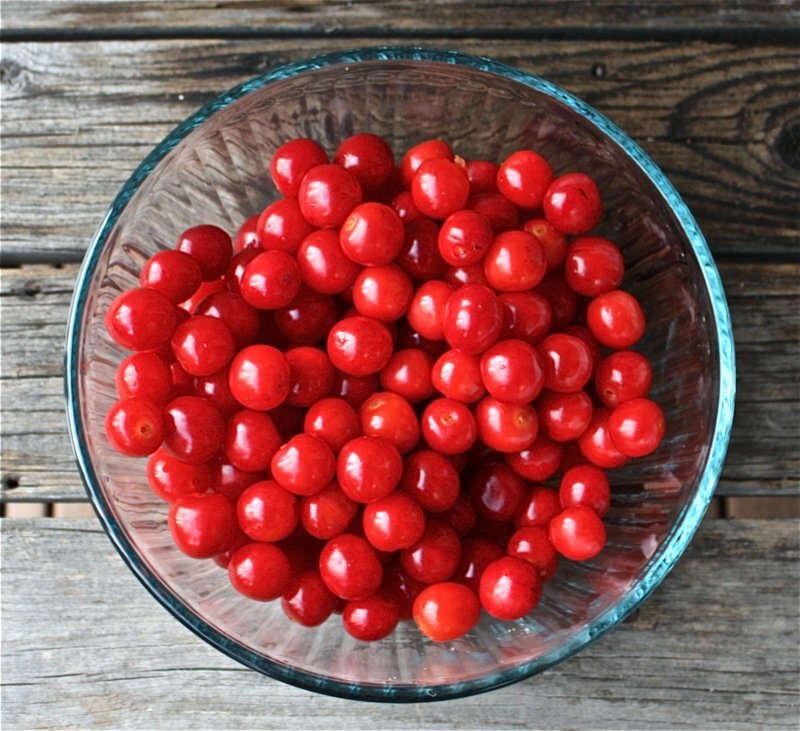 Sour cherries can grow in colder climates. I had no idea what a sour cherry was until I bought my first Evans Cherry tree 10 years ago. Yet, it is the sour cherries that the “cherry flavour” is derived from. It is the sour cherry that maraschino cherries are created from. It is the sour cherry that cherry pie is made with. 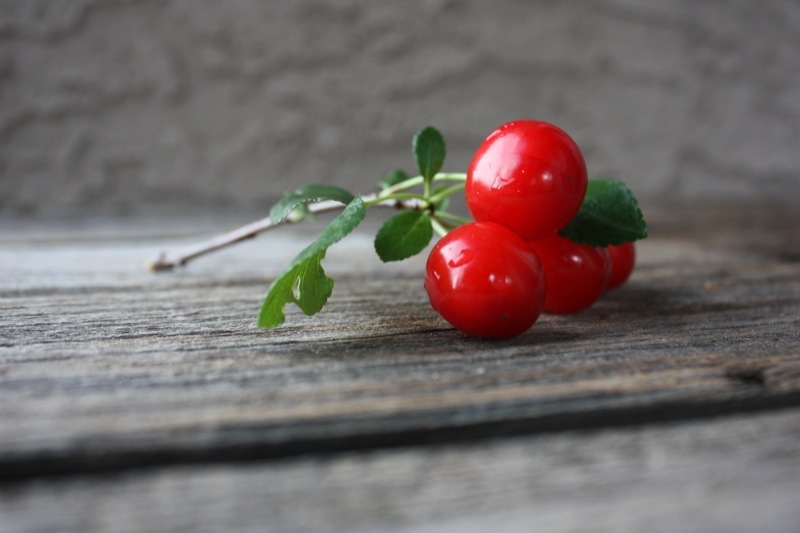 It is the sour cherry that has been in all sorts of cherry sweets and treats all over Europe for hundreds of years. And this month, trees festooned with little green cherry promises is a personal delight of mine this time of year in the city of Edmonton. The cherry trees Evans rescued from Mrs. Borward’s threatened orchard that dated back to 1923 are now found across the continent. There has been a lot of hypothesizing about where these trees came from, but no definitive answer. 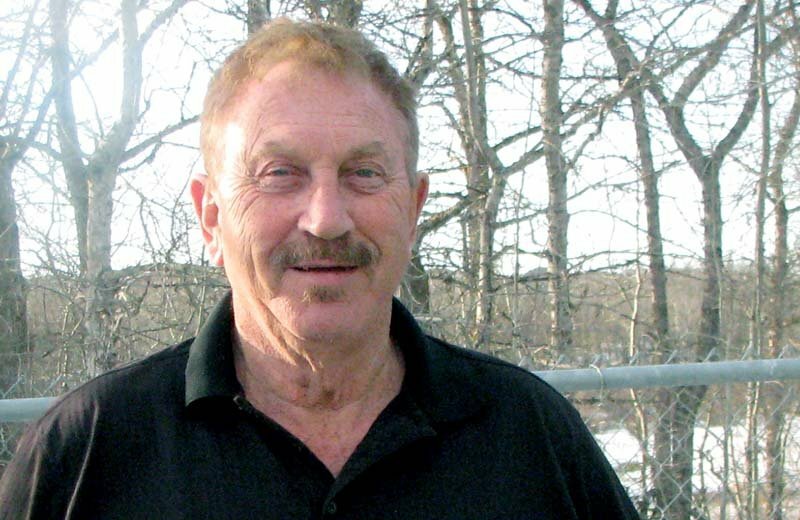 I am just proud to say that Mr. Evans is 15 minutes away from my home town and an Albertan that has made a significant contribution to not only the regional fruit production of the prairies, but throughout the world. And now, my own children can see cherries growing in their back yard. Pluck them directly off the tree. Know how they grow and dangle them from their ears. Actually Black Currant Fruit leather, but I make Evans Cherry leather the same way whenever I made the ice cream. I use the waste in the sieve to make the yummy fruit leather in this fashion. This recipe is made with red crab apples, but I do exactly the same thing with fresh Evans Cherries and the product is outrageously scrumptious. A photo of the cherry liqueur is on the icon for my Zone Three Harves Preserves Post. 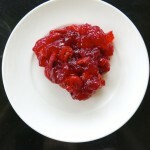 Homemade Sour Cherry Pie Filling: Like the one in the can, but 100% tastier! Living in the Okanagan I have the opportunity to pick cherries this time of year. Their branches are so laden with fruit that the general public can just reach out and pick them by the handful. No need for ladders or any other paraphernalia unless you are picking them for commercial use.I found the story of the Evans cherries and their history very interesting Valerie. I remember as a young bride going to a cherry orchard in Milton, Ontario and picking sour cherries for canning. At this particular farm they had a machine from the 1800’s that pitted all 20 lbs of cherries in one fell swoop. It was the best year for canning cherries ever! Interesting that your first experience with cherries was also with sour cherries… I am jealous (seriously) or you being able to just reach and pick those sweet Okanagan berries by the handful when in season. Oh, my! Do you have a favourite varietal? Les cerises de l’Okanagan sont doux. La Evans Cherry est aigre. Salivating as I read this Valerie. Cherries are one of my most favourite things. Your pie looks outstanding! The ice cream and preserves to die for! Loved this post! Thank you, Miss Lizzy… sour cherries grow all over your homeland… but, what kind grow in Australia? Believe it or not but I have never eaten a Evans Cherry. I wish I had because this fruit is beautiful. 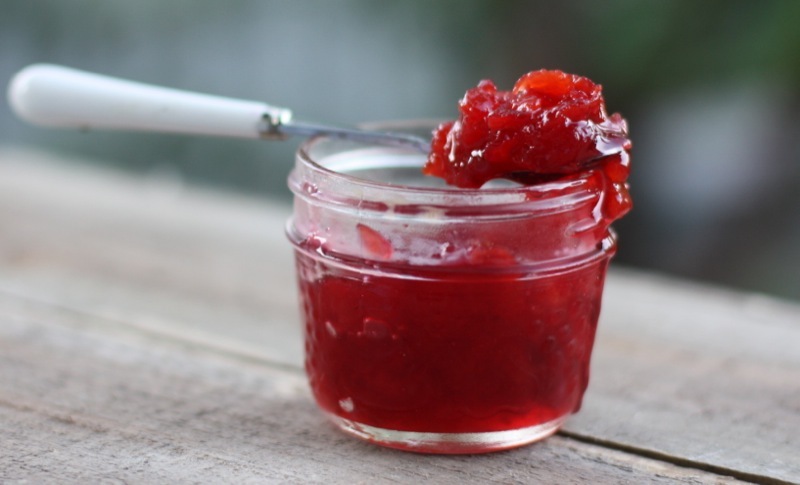 What a delicious way to serve this kind of cherry in a jam. That must have such a unique taste. Well, it is tangy and sweet and definitely that well known cherry flavour! I could eat cherries by the bucket-full too 🙂 We have quite the cherry-growing industry right here in Wisconsin also in the Door County Peninsula but I think they are mostly the sour cherry varieties. Hey Susan – Do you grow any? Do you have a favourite varietal, or recipe? When my Evans cherry trees started producing 5 gallons of fruit per tree and my friends were getting the same amounts on their trees, friends asked if I had any recipes to share. I had posted “Cherry Slice” on my website and I told them I would also write a cookbook. “Cherry Desserts Magic” is the outcome of that request. It is in ebook format and the paperback version will be available shortly on Amazon. Valerie, I love your cherry pie recipes. Your recipes are always delicious and they always turn out. Thank you for sharing the interview with Dr. Evans. It’s always interesting to hear the origin of a wonderful Alberta fruit. Incredible! 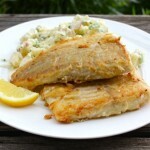 Share the link for your cookbook here, please!And also – your region…. I live in Sherwood Park and we discovered Evans cherry trees about 8 years ago, much to our delight! Aren’t they just the best tree fruit in Alberta? Thanks for letting me share my book with you and your readers. Thrilled to know we have a local Evan’s Cherry author and lover in our midst, Helene! Thank YOU! You might consider joining The Canadian Food Experience Project. I had never tasted sour cherries until I moved to Swift Current. I pureed some with honey and a little water to thin out the richness for a sour cherry drink. That sounds scrumptious. We use a syrup from the preserved cherries with sparkling water. YUMMY! 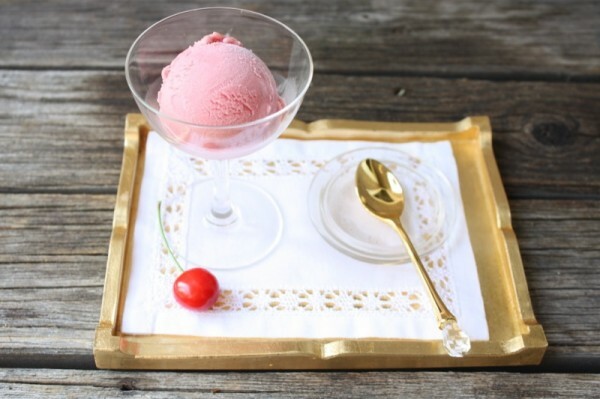 The preserved cherry recipe is a must try. Wow, those are some spectacular cherries! Funnily enough, I’ve only ever made a sweet cherry pie, but now I’m extra motivated to get my hands on some sour cherries because both of those pies look amazing. I wonder if I can find the Evans Cherry? You may be able to find some on the island or in colder regions of British Columbia. Any sour cherry would do. I haven’t done a tasting with sour cherries, but the Evans is large and last year I got 50 pounds of pitted berries off of my ONE tree! So, the trees produce! What is your favourite varietal of the sweet cherry? What an interesting post! I have never tasted a sour cherry and now I’m going to source them out because I want to make a pie and the jelly! I can tell you are a real pie maker by your crust – it is a thing of beauty Valerie. I love pie soooo much and wanted to reach into my screen and grab a piece! 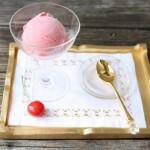 It is the preserved sour cherry recipe and the liqueur that are the two that would blow your socks off, Lindsay! 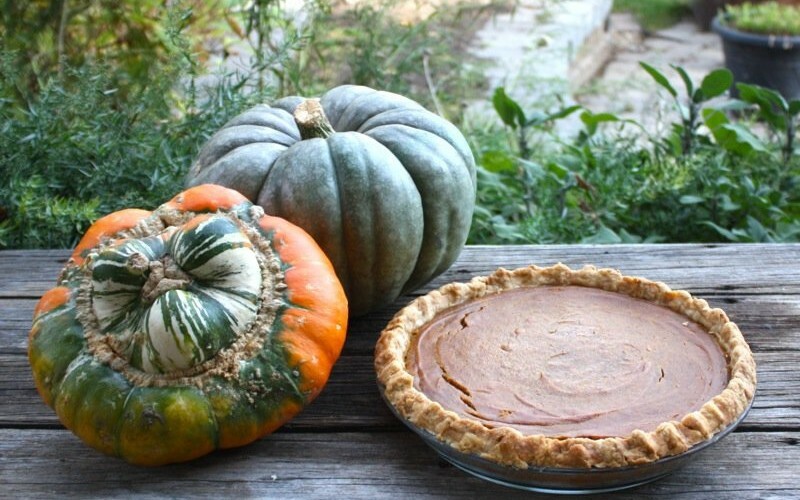 The pies are tasty, but these two recipes are dynamite! You realize you’ve got me obsessed with making both now? It’s a happy obsession, though! Have a wonderful weekend Valerie. Haha Lyndsay! 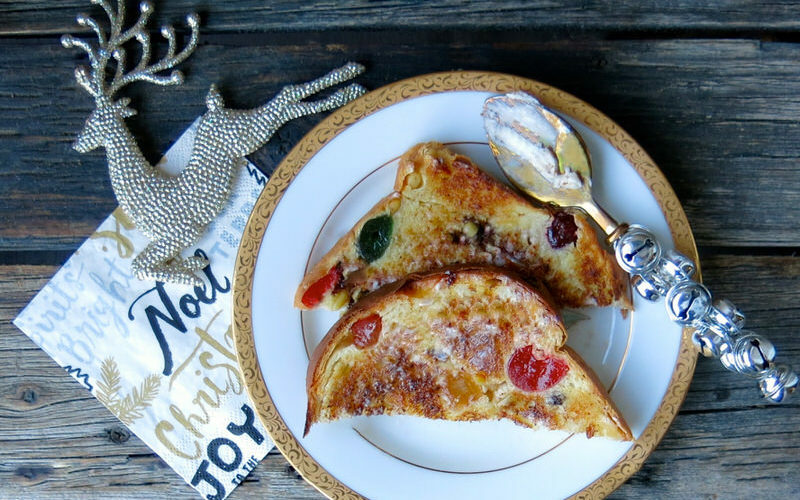 The best thing are the preserved cherries – and the liqueur! You signed up to participate. 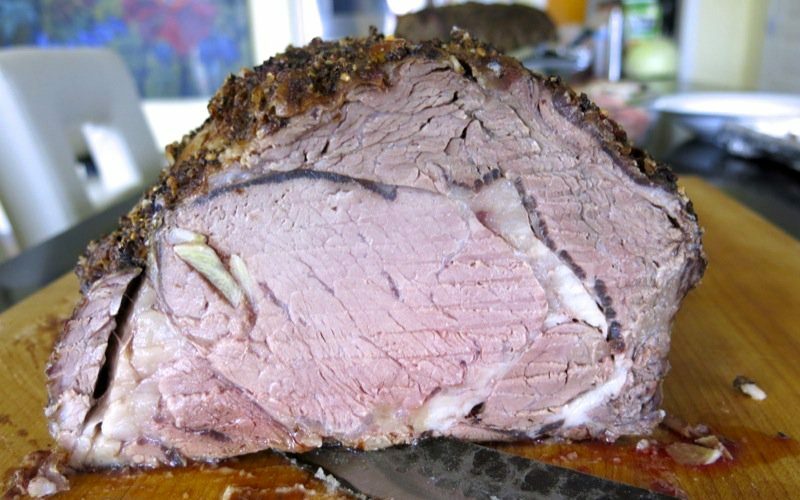 I would love to read about your Canadian Food Experiences. Did you forget? What a wonderful choice, Valerie.I never realised the Evans cherry came so close to being lost forever. Thank goodness for Mr Evans and his quick thinking. I’m actually much fonder of sour cherries than I am of sweet cherries, but they’re almost impossible to find here in Ontario, for some strange reasons. I’m terribly jealous of your backyard bounty, not to mention all of the delightful things you make with them! 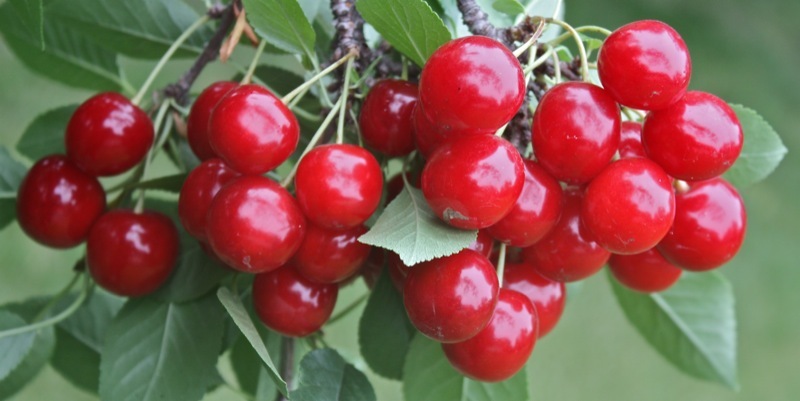 Are there sweet cherries growing in your region of Ontario? It is odd that each of us missed what we don’t have. I am so appreciative of these cherries, but would LOVE to have sweet ones for the picking, too. MMMMMmmm. I am surprised that they are rare there, as the climate in Northern Ontario would be perfect for them. I’ve never heard of Evans cherries, but love this story! 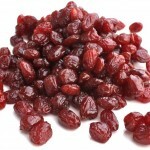 I really enjoy dried sour cherries and these sound perfect for the job. Of course, that pie looks pretty scrumptious too!. I love what you’re doing with the Canadian Food Experience Project. I learn something every month and can’t wait to try some of the recipes the participants are sharing. Thanks for your hard work on this. 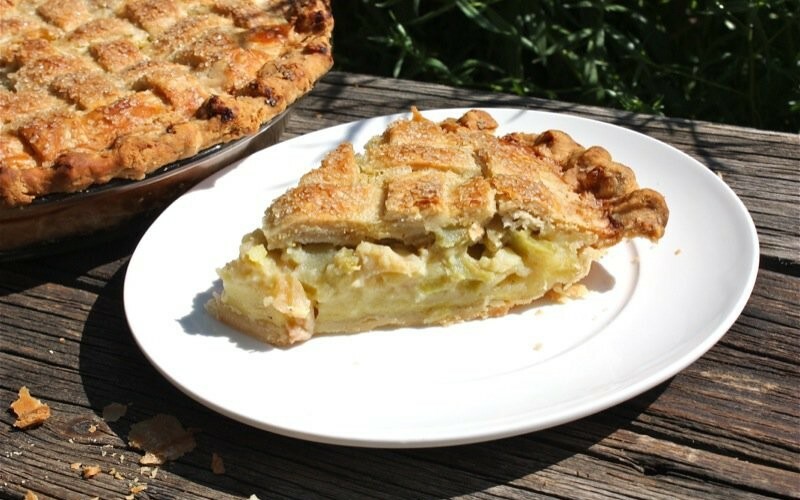 Me too – as you know, I have made 2 of your recipes and Bridget’s rhubarb custard pie reminded me of grandma’s – and I made that. I am just making Tarte au Sucre – and made the 2 recipes our participants shared last round up. Oh my, these look so gorgeous! I so wish I had access to this kind of cherries. When I was younger my parents owned a cherry orchard(and I had way more than my fill for years!) here in BC. And there are still many sweet cherry orchards around us so they’re readily available, but all I want to try are these!! They are so pretty and I love that real cherry flavor! I should clarify that they only have the “real cherry flavour” when cooked or when sugar is added. They are really quite tart or sour, and the flavour is enhanced significantly with sugar! I had not heard of Evans Cherries until your delightful post. I wish I could get my hands on some! I really want to make that Evans Cherry Custard Pie! They are truly delicious canned and in syrups, in cakes, toppings, etc. I love sour cherries but can hardly ever find them in my neck of the woods. We planted a meteor cherry tree in our yard years ago (similar to an Evans, I believe) but only ever harvested a few cherries before the deer at it (the whole tree, not just the fruit). This post has me wishing that we still had the tree. Lucky you to have such a harvest from your own back yard! Even though we are in the city, the rabbits tend to ravage our trees in the winter. We actually cage the trunks when the snow flies! This tree is in our backyard, so fenced in, and safe. Interestingly, for the first 6 years I got literally nothing from the tree. The last three have been motherlodes and I understand that will continue. I always have plenty to give away. I’ve never tried this before, but it looks really good. You are right, the jam is best on the tart side. No one can imagine how delicious those preserved cherries are, though. They are “out of the box” completely. I have had sour cherries before but did not know so much about them. I’ve actually only made them into jam. I know I’ll be on the lookout for some more at the Farmers Market tomorrow morning. Your custard pie looks too good not to find them! 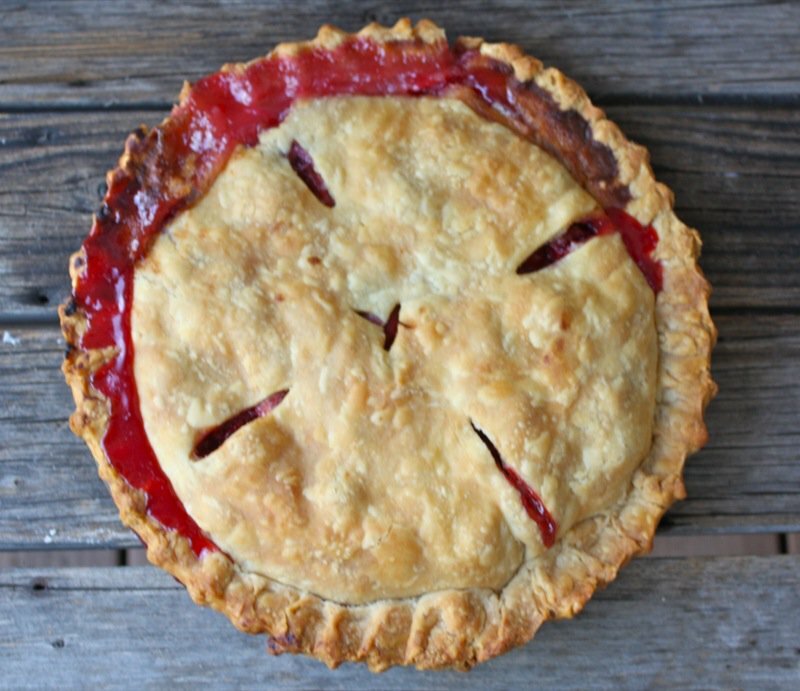 So funny – the pie was “good”, but the preserved cherries and the liqueur are TO-DIE-For! You can purchase either a tree or a bush. The Evan’s Cherry now comes in both forms. The tree does grow about as big as a large lilac tree… similar to the large apple trees we have in Alberta. It would be a great addition to anyone’s yard. Most people get a lot of fruit after three years. For me, it took 6. We had a few really windy springs where the blossoms were whipped off of the branches and the fruit was gone for that season. Hmm.. maybe a bush would be easier to fit in. Thanks for letting me know.. that darn wind, eh??!! Those cherries look awfully good! I would love to taste your pies and jam. Unfortunately, I am allergic to fresh cherries and have never had the pleasure of eating them. I can eat cooked cherries so I will be able to make your pies although I don’t know if these cherries are available here in Quebec. I think it’s wonderful that your family will be able to pick cherries off the tree in your backyard. Yes – a dream of mine for so many years, and now, it is real! I have a customer who gives me a pail full every year from his trees and I make an old fashioned cherry cobbler with them. 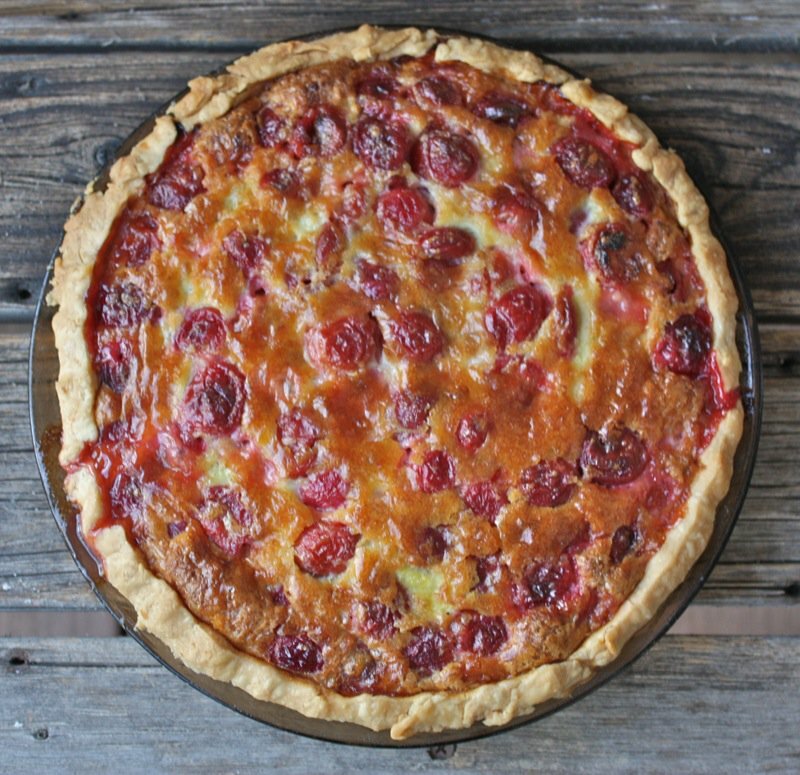 The cooking intensifies the flavour of the cherries and the biscuit crust is one that my great aunt gave me many years ago, one that she recieved from her grandmother, or great grandmother, too many years ago to remember. Its so heartwarming to combine these two treasures from our past. Where are you from? Will you share that recipe with us? I would love for my readers and I to have access to it. Sounds like something I MUST make! Of course I will share Valerie. Coincidentally I also live in Spruce Grove, Alberta, where Dr. Evans lives. Here is the recipie for my Evan’s Cherry Cobbler. Combine in a heavy bottomed pot and heat, stirring until the mixture is bubbling and thick. 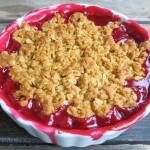 Pour into a large casserole dish, then top with the biscuit topping. It will try to bubble over so make sure the dish is quite deep. Mix the dry ingredients, then add the butter and blend with your hands to a crumb texture. Add the soured milk and stir until just barely mixed and plop by teaspoonsful onto the hot cherries. Bake at 400F for 12 to 15 minutes, until the biscuit topping in nicely browned. I like to serve this warm with a small scoop of maple walnut ice cream, the flavours are so wonderful together. Very Canadian. Love the idea of the maple ice cream on top. Flavour combinations can surprise you! I will be making this. My berries are almost ready for picking! Thrilled to know you are so nearby! Something to share with you. I did a search for recipes for the cherries from my Evans cherry tree. Found your lovely story from 2013 on the history of Evans cherry tree. I’m from North Bay, ontario . I’m so excited to say I have a bumper crop this year. Had bearly any since I planted My Evans 10 years ago. This spring we had to get rid of our King Maple due to its size. We have a postage stamp size property and the maple was at least 50 feet tall. Scared the bejebbers out of me during high winds. Reason to plant a Evans cherry tree was perfect size to plant in such a small yard. I believe the tree is very happy now that it gets more sun and it would explain the cherries. Also realize every other year it might have more cherries then the off years. Thank you so much for sharing the history of these cheery trees. Thank you for the recipes . I’m so excited I’m going to make a pie and other fun and delicious recipes. Summer of last year I only was able to make 1 small jar of jelly and if was okay but your recipes gives me a better idea on how to go about it. This year 2 jars of jam and a pie. Yippee. Going to sign up to your blog. Thank you so much, Carol, for sharing your enthusiasm and personal Evan’s Cherry experience. I do what I do to have the opportunity to hear these little stories – and now, I hope you will continue to chime in. I would LOVE to hear about your favourite recipes as you use your cherries! Mine are just ripening now, and it looks like you have already harvested yours for the year! I first tried Evans cherries 2 years ago at the end of August at Art Knapps greenhouse in Prince George, BC., they were delicious. 2 weeks later in the middle of September there were still lots of cherries on the unsold trees so my wife was able to taste them also. She was very impressed with the delicious taste. Bought 4 young trees the following spring and one more larger tree this last spring. The younger trees produced fruit this summer and were incredibly tasty.